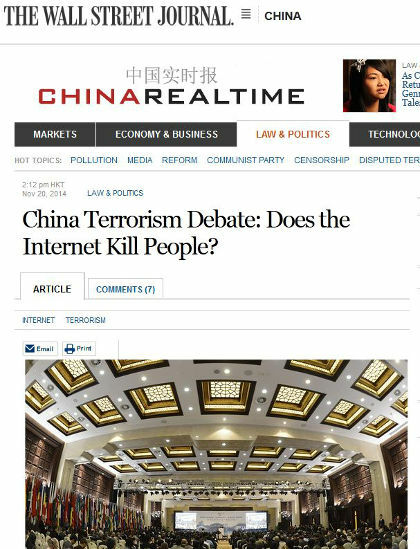 China is a very large and complex country but it really does not take much to see the hypocrisy and self serving attitude they laid out at the World Internet Conference hosted in Wuzhen, China. In brief, the Chinese slid draft copies of a declaration under the hotel doors of the attendees at 11pm with a 8am deadline for any feedback. The declaration asks that the world community join together to police and censor the Internet to prevent it from being used for terrorist purposes. This of course is to also protect the personal information of users, prevent cyber attacks and maintain sovereignty of each country over its portion of the Internet (sic). 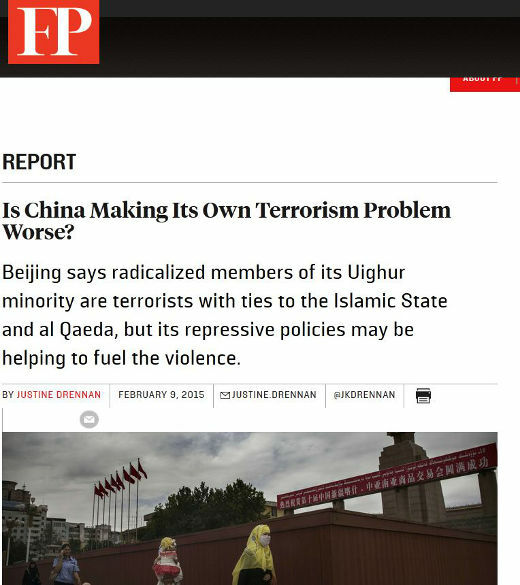 Terrorism as we try to show on this site is a very complex subject and to see a country – one that by all reasonable standards, censors information including the Internet for its citizens and is accused of being complicit in cyber attacks – is extremely discouraging for any sort of global governance of the Internet. Its best to keep this medium independent of the interests of countries or else we will end up with a fractured system that reflects the values of those who are the most restrictive. World Internet Conference held in Wuzhen, China. 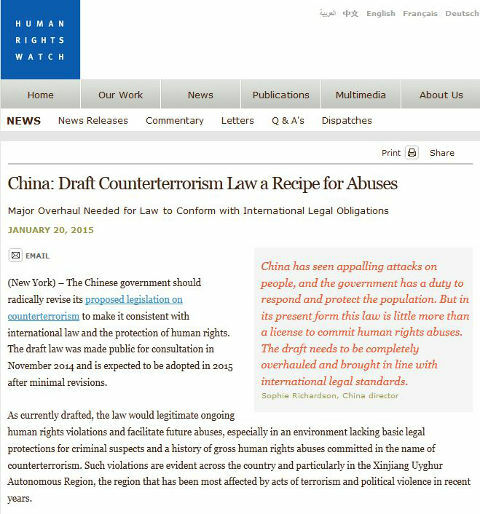 But when a key Chinese proponent of tougher laws to combat cyber-terrorism pushed that view on Thursday while showing video from the crime scenes at a forum called the World Internet Conference, he faced pushback from two American researchers. Russia and China have been developing deeper economic, military and strategic ties – to the point where many believe that a new east versus west Cold War may be at its nascent stages. So it should not come as a huge surprise to see them also co-operating in the fight against terrorism, which they both believe to be a problem. 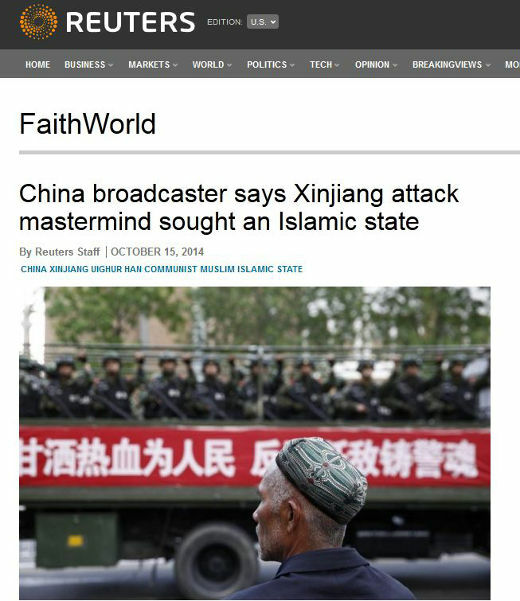 The Chinese have clamped down on the Uighurs in Xinjiang and Russia has long fought against Islamic terrorist and separatist groups in its Caucasus region. 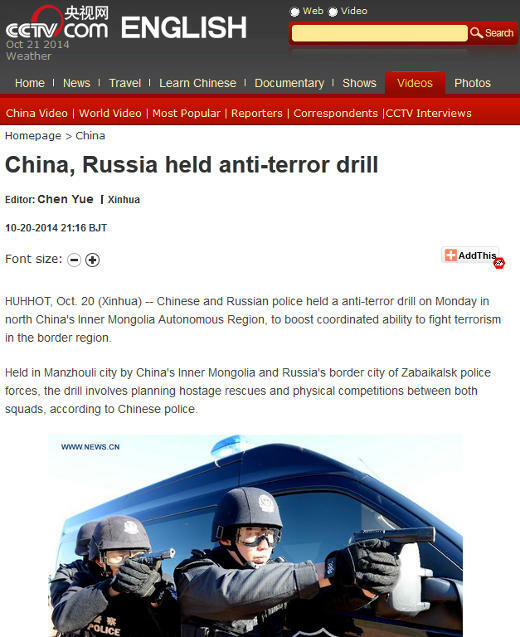 In August, a multinational anti-terror drill was held in China’s Inner Mongolia by China, Russia, Kazakhstan, Kyrgyzstan and Tajikistan, aiming to deter the “three evil forces” of terrorism, separatism and extremism.